There are hundreds of Wing Sauces. This sauce, that sauce, hot sauce, and mild sauce. Basically any sauce you could imagine...except ours. 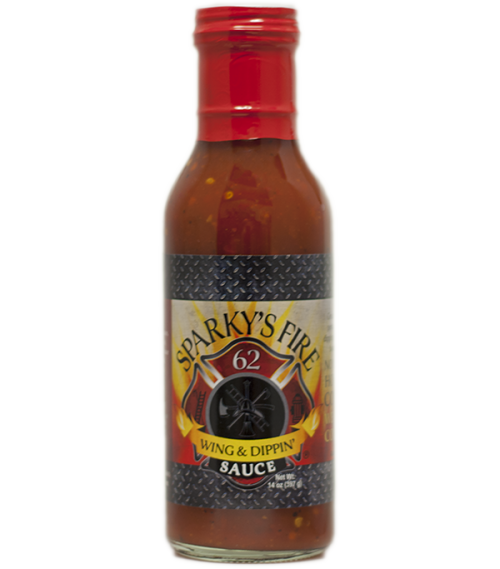 Only Sparky's has THE sauce. No matter how you cook it, we got it covered! Fire Captain Todd Morgan explains, "Firefighting is my career, college football is my passion, tailgating is my hobby, and Sparky's is my talent." After years of perfecting his sauce, Captain Todd Morgan introduces his one-of-a-kind sauce to the rest of the world. It's great for all occasions. Whether it's tailgating with friends, a family BBQ, or just casual cooking at home, we hope you enjoy it as much as we do. There truly is nothing like it. 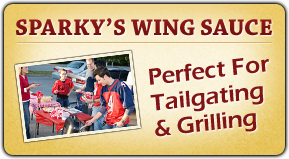 Interested in carrying Sparky's Wing & Dippin' Sauce in your store or want to feature the sauce in your restaurant?